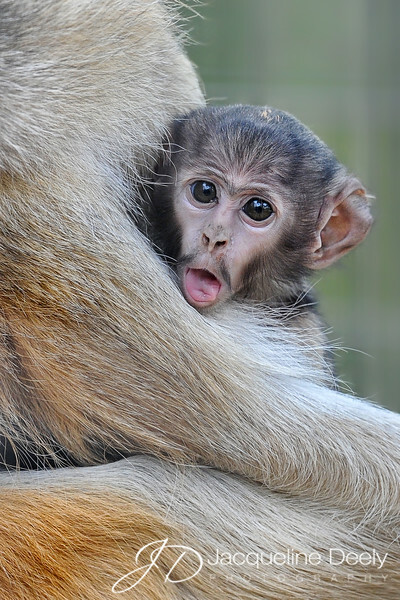 This is "Gizmo", a baby patas monkey born on August 5th, 2015 at Safari West Wildlife Preserve. His mother was very protective of him and an earlier attempt to see him failed as she kept him hidden. It was only later in the day when I decided to stay a little longer before returning home that we were incredibly lucky to see him out and about exploring his new world!